Far into our future humankind controls the fabric of reality with such ease that “here” and “there” have become one. Space is bent such that many separate worlds exist, most in complete ignorance of the others. The Asymptote’s Tail begins the story of the interactions between seven of those worlds. In one, a servant imagines life with no master and learns if she can withstand the risks that come with freedom. In another, a young girl is forced into freedom of another kind when her parents disappear and she sets out to find them. An actor learns how much work is done by who in which worlds and decides what he wants to do about it, a black cat tries to decipher the ways of humankind and protect his owner as she does the same, an assembly line worker seeks revenge for the death of her son, a police officer learns what the job entails and decides if he can stay on the force, and a scientist vies to regain control over her inventions which are being used to wreak havoc on all the worlds of Outland. As each new perspective illuminates experiences from the old, the Sisyphean nature of chasing an endless limit and the totality of contradictions inherent in a divided system become clear. “Then” and “now” take on as little difference as “here” and “there”, for in the end, we are all, everywhere, and forever chasing The Asymptote’s Tail. 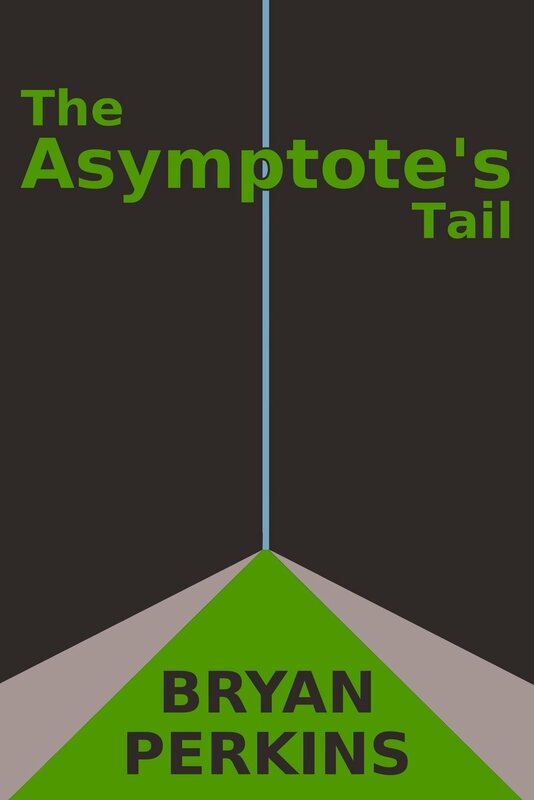 The Asymptote’s Tail is an epic science fiction novel and the first in the four-part Infinite Limits series. Bryan “with a Y” Perkins is an Air Force brat who ended up in Louisiana by way of Nevada, Arizona, California, Rhineland-Palatinate (in Germany), and Colorado. 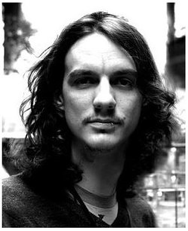 After graduating from Airline High School in Bossier City, Louisiana, he received a Bachelor’s in Biology from Louisiana State University in Baton Rouge then scurried further south to New Orleans where he works a soul-crushing job for just enough hours to pay the bills and support his true passion, writing. First thing’s first, though, no matter what any of the three of you want: You have to get to work. Luckily–or unluckily as the case may be–you’re already there, so you begin as soon as you sit down, getting the worst part of your day out of the way. Work is painful, soul crushing to even talk about. No one knows what it is–not even the people you work for–and you don’t care enough to explain. “Search engine evaluation” the people who pay you call it, but everyone you tell that title to confuses it with SEO so you don’t use it often. You prefer QA. You do quality assurance for search engines is what you tell anyone who asks–not many people, you don’t get out much. Which is true, in a sense, but you’re more like a taste tester, putting yourself in the shoes of a million different Google users, imagining how satisfied they each would be with the results of their unique personal searches, an oddly intimate relationship to have with completely anonymous strangers who you could never hope to meet. After two hours of murdering your soul for a wage, only leaving the same room you slept in to get a drink or pee, Mr. Kitty is ready to leave. You are, too. You both actually start getting antsy around the half hour mark, but you’ve been trained so well by time that the energy doesn’t properly burst until hour two. When it does, it’s time to go outside. Mr. Kitty is probably up on the mantel already, staring at the door of the office/bedroom, meowing to get out, so you slip the red bandana in your back pocket and snap Mr. Kitty’s pink harness and leash on. You live too close to a busy street to let him run free anymore, but he’s too used to being wild to be cooped up inside all day, so you both had to compromise. The red bandana gets tied outside your neighbor’s door so her bear of a dog, heavier even than she is, doesn’t eat the cat it’s been licking its massive slobbery jaws at for months. Walking a cat for ten minutes is not like walking a dog for ten minutes. You don’t walk Mr. Kitty, you follow him, walking as quietly as possible so as not to frighten him, until he goes somewhere you can’t, then you turn him around and follow him some more. Usually you stay in the shaded parking lot behind your building, sniffing cars, tearing up the wooden fence with the same sharp claws that woke you up, or chasing the neighborhood cats out of your territory, but on some days, Mr. Kitty likes to walk all the way to the corner of the block, only running and hiding if there’s a bus or truck to hiss with their pneumatic brakes and scare him away. After ten minutes, it’s back inside and back to work, whether Mr. Kitty–or you, for that matter–likes it or not. You grab a granola bar for breakfast, to eat while you work, and after two more hours of near soul death experience, it’s ten more minutes in the yard with Mr. Kitty. You work two final hours, usually while eating lunch–frozen Quorn, soy, and quinoa have been on the menu a lot since you gave up meat–then the third ten minute walk with Mr. Kitty, which is the best, because your soul is finally free to rest and recuperate. Now the beers pop open. You don’t do that, they do it of their own accord, you swear. Besides, you live in New Orleans, a little casual alcoholism is accepted–if not actively encouraged. And though Hemingway has been fake quoted so often–it wasn’t him, actually, but Peter De Vries–as saying “Write drunk, edit sober”, you say “Two o’clock, time to drink” whatever stage of the process you’re in. And now you’re writing, or editing–as above–but it doesn’t matter. Your soul is healing itself from the beating it took earning the right to do this. An hour passes by within the blink of an eye while you play in an imaginary world filled with imaginary people. Another beer opens, more worlds, more characters, more stories. And you write and you write, and you know it’s the writing, not the beer, repairing your soul, but another one opens anyway, because today is a new day and it’s never ending. Then six o’clock rolls around. You’re exhausted from traveling through space and time to dimensions unknown, dimensions you wish so desperately–and work so tirelessly–to share with other people, and a little drunk because, in the four or so hours you’ve been writing, you’ve downed and crushed at least three tall boys of Busch beer. So you stumble out of your room, the half full beer still in hand, and there are your roommates, there is the real world again, there is Jeopardy and Wheel of Fortune, dinner, paying taxes, rent, and electricity, movies, TV, walking to the grocery store because you don’t have a car, there’s everything that goes away when you’re inside that imaginary world you just came from, there is everything real. Life is harder for you there, but you press on. Maybe, if dinner filled you up enough to sober you, you crack open another beer, maybe you watch some Community or Doctor Who before going to bed early–nine, ten o’clock early–to read yourself to sleep. Whatever you do, eventually, you pass out, you enter another imaginary dimension, one which you have less control over, a dimension almost as chaotic and tumultuous as the real world, but this one filled with both made up and real characters alike. And when you feel like you can’t take it anymore, that nothing in any of the dimensions makes sense, usually at seven in the morning, sometimes six-thirty, sometimes nine, but every day of the week, sharp cat claws, delicately caressing your eyes and nose, or brushing through your hair, awaken you from that dreamland and tell you to get back to work, because Mr. Kitty is ready for a new day, and it will never end. Thanks for taking part in Indie Month, Bryan! 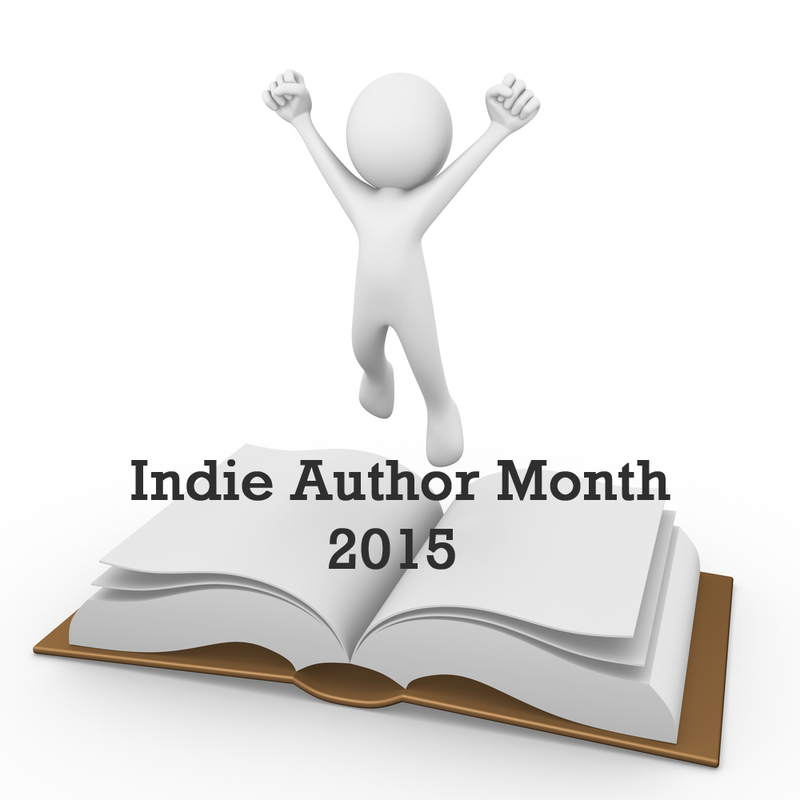 This entry was posted in Events, Guest Posts, July 2015 - Indie Author Month and tagged bryan perkins, guest post, IAM2015, The Asymptote’s Tail. Bookmark the permalink. Thanks for having me. It looks great. Keep up the good work. We’re both writing sci-fi with the multiverse component strongly center-stage, but very differently, otherwise. How great is that? Have to say, though, that you’re seemingly living the life of an over 60-year-old, reclusive, alcoholic writer when you’re way too young to be doing that! Get out and play more! Good luck on your writing, Sally. And thanks for the words.